A lot has been said about Practicing Mindfulness. Intentionally choosing Minimalism over abundance is Mindfulness. 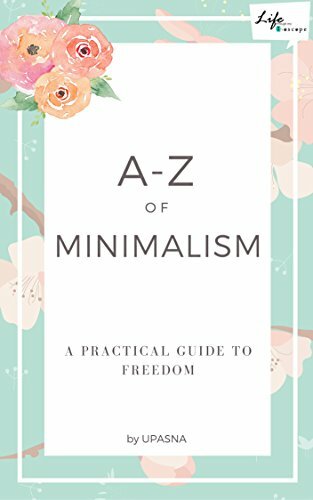 When you are stationary and have the income to buy the things you want, yet choose not to; is Mindfully Minimalist. We always tend to indulge in multi-tasking as it seems like need of the hour but not every moment should be stuffed with a to-do list item. A very nice post on the same lines by my fellow Blogger- Mindful or Mind full? I think we should give our self a chance to get bored once a while. Give our self the freedom to be free, to be without any deadlines. Research shows not only it increase productivity but gives us the ability to relate to others and one’s self with kindness, acceptance and compassion. There are many elements of Mindfulness; stillness, single-tasking, present in the moment. take Car along but rather walk the distance which is around half a kilometer. We did chat about his School activities and other natural surroundings. I was wondered but it took me same time as it take by Car. The reason is short distance and bumpy roads but still I got to know the fact. It helped me to introspect on myself and our couple fight the previous day. It made me said Sorry. Not enjoying while Cooking. Practicing mindfulness will let us believe that Cooking is not a chore but a therapeutic exercise. It helps us to appreciate the process and relish the aroma. Not fully present in Communication. These days we are not actually present in the moment while communicating to someone -We may be either thinking about our to do list while a Friend is sharing something, thinking about an office task while your partner tells you about his/her day, or busy in chores while talking on the phone to your mother. Indulging your mind in multiple entertainment sources. I have seen many who operate their phones while switching on TV. Listening to music while reading a Book. Eating fast being unaware of food. Average time to eat a meal is 10mins and its weird that we cannot spare 10 mins to relish the food. Mindful eating helps our Body and mind. Walking while being busy over the phone. Ideal walk is to observe the surroundings, the beauty of nature. Deep breathing is the main thing in Mindful walking. I liked the – Things that shows its high time for practicing mindfulness. We do it all the time I feel. Stop and slow down and focus.